Networking events are a great way to make professional connections, spread the word to local colleagues about your specialties, and learn what others are doing. 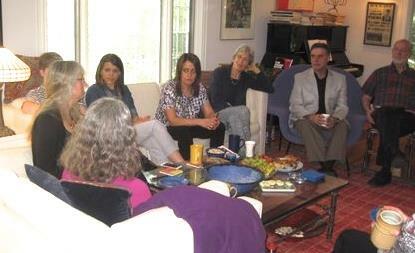 NEAFAST gatherings offer a home base to a whole community of professionals who look through the systemic lens. "Therapeutic Work with Street Children and their Families in Latin America: Implications for Working with Marginalized Populations in the U.S.”, presented by Dr. Janine Roberts. We're excited to have Dr. Roberts share her four phase, in home/community therapy model created with NGOs in Latin America over the last twenty years. Woven throughout will be interventions created and used in each of the phases based on the power of story, multigenerational listening, art and other experiential activities such as family photos and sculpting. How to build trust and safety on the street, in homes and communities, work with trauma and attachment, and facilitate witnessing and healing will all be addressed. We'll think together about how to expand, adapt and use aspects of this model in our work here.